Sash window stuck open that needed taking apart as a result of not being solvable in situ. Having a sash window stuck , randomly, when previously working just fine is extremely worrying. Not only the security of your home is compromised, your not quite sure how to fix the problem, or even why it happened. Before I get started in helping, if you don’t intend to try to fix this yourself, please call us if you require emergency help, we may not respond quickly enough via email, if you are looking for a fix, please read on, this article will help. Normally my posts are long and informative but with a sash window stuck open you really need quick, bullet point information to resolve this issue. The good news is there are only a few reasons why this will happen, some you can solve quite easily, and others will be quite involved, you might need to take the window apart in order to fix – but we will go through every option and how we can attempt to solve this as quickly and as easily as is possible. I’ll go through the bullet points first which might help you diagnose quickly, and then talk about how to fix in greater detail to hopefully save you some time. A sash cord has snapped, resulting in the sash twisting and becoming lodged firmly in the frame. A weight has detached, and subsequently using the sash has resulted in the cord jamming inside the frame. This is covered in ‘Sash window stuck open because cord has fallen off and jammed on the nails. The cord has fallen off the sash and the nails holding the cord are now wedged and jamming the sash. This often results from excessive force opening the sash, and was also poorly fitted in the first place. The sash mortice and tenons have opened up enough from force to result in the sash being too wide for the frame. You need to call a professional London sash window company, there’s no shortcuts, sorry. A random object that was hung on the window, has fallen become lodged inside the frame creating a wedge. You should take a look at the title ‘Sash window stuck open because cord has fallen off and jammed on the nails.‘ as the same method applied. Your sash windows have been freshly decorated and there is no longer room in the frame to travel lower down, if you’ve pulled the window forcefully it’s now stuck firm. If your sash cord snapped and the sash has twisted in the frame, becoming stuck firmly then you are in luck, this is the easiest fix. Since this is almost always the top sash there is several things you must do before attempting to free the sash which I will go into in detail. You can even get the sash up to the top and hold it closed with the catch. Take a look at this example I recently surveyed, where the client had done just that, and yes we did repair sash windows here, rather than replace! The first thing, I won’t even number it. Do not do anything stupid like balance outside the window. Make sure you remain safe, and treat the whole exercise with extreme caution. If there’s a tiny part of you not confident whilst near your window, Call an expert. You know yourself, and your window, better than anyone. If you feel capable continue reading. Carefully, and with a good set of steps take a look at the groove where the sash cord is. Since the sash cord is broken it’s no longer of any use. Cut this cord as close the sash as is possible to reduce the possibility of this cord jamming and causing a real problem when you attempt to close the window. You’ll need a friend to help, or even two. If your above a pathway ensure no people are walking under the window. Prepare screws and a screwdriver – preferably a cordless drill if you have one. 40mm screws or longer are ideal. Remember if you’ve got a screwdriver, it’s not easy getting the screws through the timber, and a thin 40mm is ideal. Strong enough to hold the sash with one cord still attached, but slender enough to screw in fairly easily. Open the lower sash fully, and then give the sash a good nudge in the corner that’s sticking. Make sure your friend holds the sash so it doesn’t cascade down breaking glass, extremely dangerous if your above a pathway as mentioned in point 3. The sash will come free if you diagnosed the issue correctly. Have your friend push the top sash closed while you screw under the horn to hold the sash up. Make sure to put screws in both sides, and also ensure the sash is pushed right to the top, you don’t know when you’ll get a chance to re-cord, or have a sash window man pop around. You can now relax and think about the next steps for a more permanent solution. 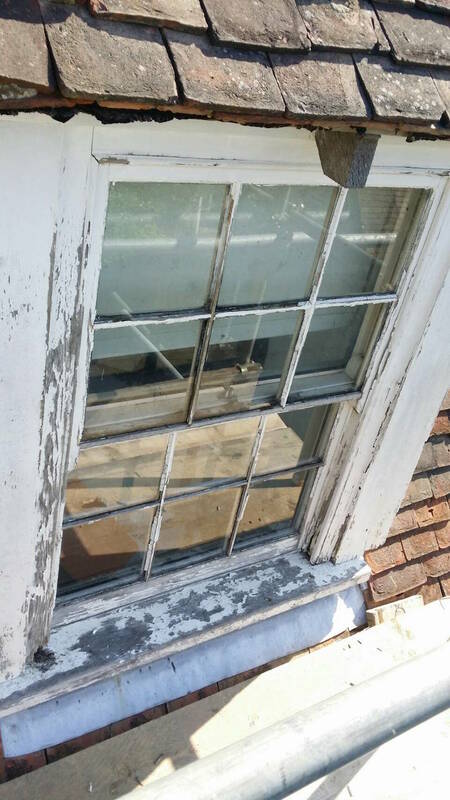 You might want to consider a sash window draught proofing system when you have the sash window repair carried out. There are plenty of good reasons and the cost is very similar, so you get a lot more for your hard earned money. This is considerably trickier than the first issue. Please! The same safety advice applies above from snapped cords section, before we go any further ensure you read the first paragraph safety advice. To be clear stay safe, and don’t balance outside the window. When a sash window sticks open because a cord has jammed inside the frame it’s important to remain calm. The less you play with the window before understanding where the cord has gone, the less likely it’ll be that you need to call London Sash Window Repairs Ltd around to fix this. If you cannot see the cord, you need to make a judgement call. The sash in question is almost 99.9% of the time, in this situation going to be a top sash. The judgement call is this. Do you force the sash down or up more in an attempt to find the cord? If the sash has jammed high up, if you pull it down and it remains stuck, your going to have to call an expert in on a costly call out charge. London Sash Window Repairs Ltd charge £320 for a rapid callout and will resolve a sash window stuck open in less than two hours. It is extremely costly for us to run an emergency service, and the price barely breaks even for us, but it is a good service to the community and we’ve really helped people in some pickles. If you decided to pull the sash down hard or up hard, examine around the frame for cord sticking out somewhere, it could now be back on top of the sash, or if you shunted the sash up a touch, perhaps protruding from the parting bead. Prepare your tools if you can see the cord and even if you can’t it’s already bad you might as well try to fix this by removing some parts! You need a blunt chisel, hammer, side cutters, and pliers in either scenario. If you can see the cord, go to 5. If not, you got one last chance, carefully remove the parting bead without breaking it. 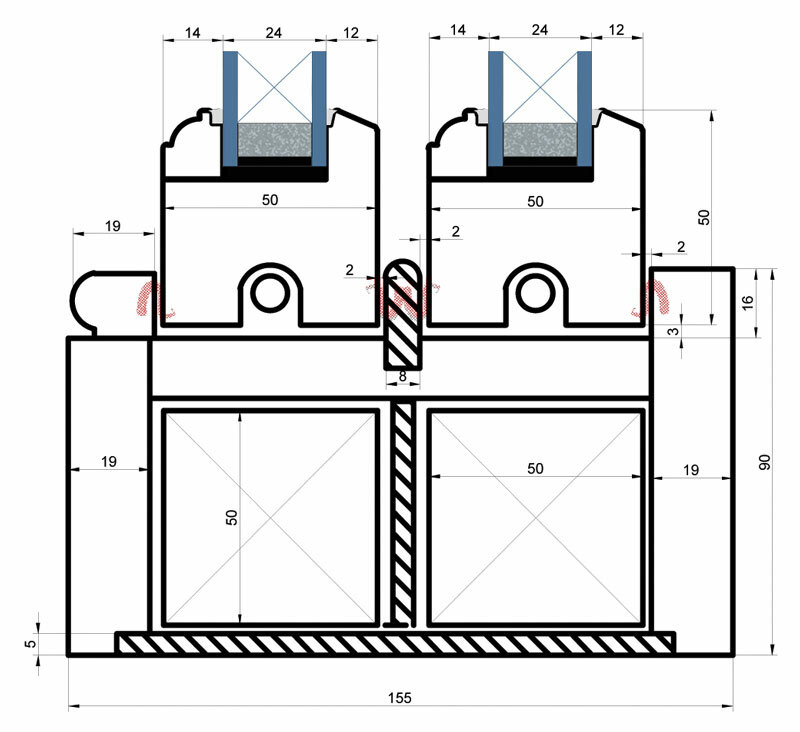 Notice how a parting bead is installed in the image attached. You need to chisel in parallel and then lever out, if you cut flush you’ll just break the parting bead. 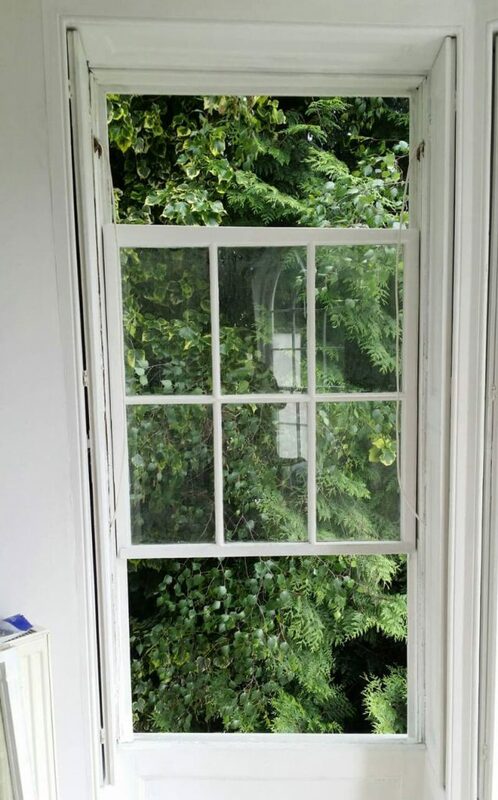 Please note the image below is of a double glazed sash window, and it does not make any difference to the technique applied. Parting bead – note how it’s rebated into the frame, and the angle required to lever it out and free. Now with the parting bead removed, or you could see the cord, you’ve a good chance at of fixing your sash window stuck open.You know where the sash cord would normally sit freely. Grab the sash cord with your pliers, and with your blunt chisel, wedge the sash as far in the opposite direction to the snapped cord as is possible, to reduce friction on the cord(ensuring you don’t restrict the cord), then pull the cord upwards and free toward it’s normal position. It’s good to have a friend when you do this. Warning, levering too hard will break the glass, be sensible, your sash window should be treated as if a piece of furniture. Now follow point 2, point 3, and point 6 of “Sash Cord Snapped” scenario above. I see no point writing the same thing twice, follow these points carefully, ensuring you are respectful and careful of other people if your window above a pedestrian walkway, and keeping yourself safe at all times. Sash window stuck open because cord has fallen off and jammed on the nails. This one is quite tricky to fix in situ. If the nails are firmly lodged behind the box, you can try from point 4 of ‘Sash window stuck open because sash cord jammed or wedged in the frame’. Please note in this situation, your chances are pretty slim without removing the sash. Your only hope is that removing the parting bead allows you to carefully lever the sash enough to pull the cord with nails hanging out free of the frame. If you are fortunate enough to get free you’ve two choices, cut the cord and then have a professional around to rebuild entirely, or read up and learn how to properly remove sashes and refit the cord. If you decide to do this. Place a panel pin through the cord leaving a few inches protruding through the pulley. This will allow you to temporarily push the sash to the top and secure. Beware, the harder you lever, the more likely you’ll do serious damage, even breaking glass. If your sash window stuck after decoration, you didn’t use our sash window decoration service, that’s for sure. 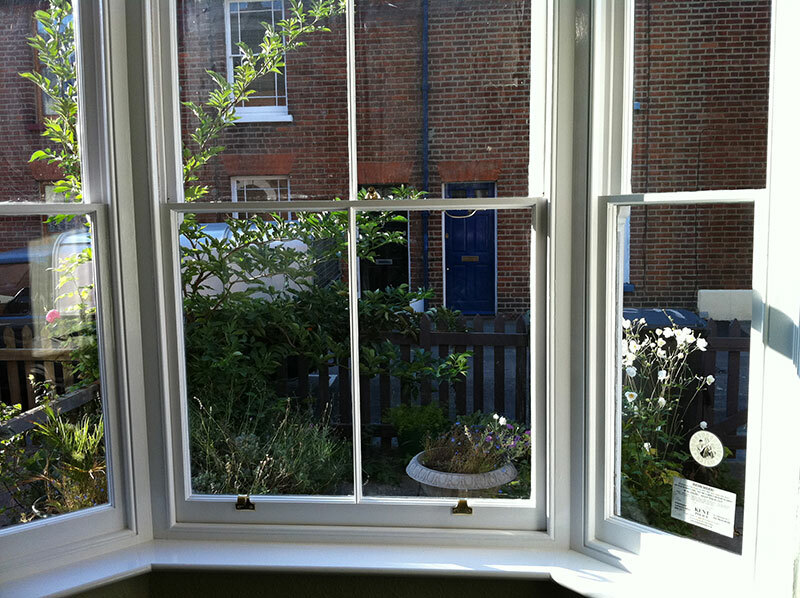 Whilst we decorate your sash windows, we will also install a comprehensive window draught proofing system. There is not a great deal that can be done if your windows have been over painted. Unfortunately they’ll need removal and excess paint removed, refurbishment, and then decorating again. I understand the pain this might cause you wasting a great deal of money and time, but there’s not going to be any solution that helps. You can take a look at our sash window decoration prices here. If you just can’t bare that, simply spray in the styles with WD40, from top to bottom, then carefully lever the sash free in all directions, then once free, slide the sash to the top, and I advise either checking WD40 provided enough lubricant in the tight area and you can use your window, or it was so stiff, better had not open the window anymore! It’s possible though, that WD40 will do the trick. Remember though, it’ll need applying often and certainly before opening. There is a better product. Take a look for silicone spray. This is colourless, as WD40 leaves a nasty yellow tinge to fresh decoration. It’ll wipe off, but then you can’t open your window!